It often surprises me that marketing to libraries as a way to find new readers is often overlooked by indie authors, and I think it’s partly because we forget that we don’t have to restrict ourselves to the digital space that has afforded us so many opportunities to date. I’ve had a brilliant experience working with library distributors in the UK, Australia and Canada over the years, with many of my readers from other countries seeking my books for their local libraries as well. A one-page overview of your book, including the cover, blurb, ISBN numbers for every available format, and contact details for you. If you’re pitching to libraries in your own country, include your phone number (and make sure your voicemail message sounds professional). Next, do a Google search for “library distributors” in your country of choice. Some of these will have contact pages that you can reach them through and others may have direct email addresses. Once you have all of that organised, it’s time to start contacting the libraries via email.I include the one-pager about each of my books, and a couple of sentences about any major writing achievements. More often than not, I’ll receive an email within a day or so. With my Canadian and Australian distributors, I’ve now established a working relationship that ensures each time I send them a one-pager about a new release of mine, they order stock because they know there’s going to be a demand. An added bonus is that these orders more than compensate me for the cost of producing the new title in the first place – and that includes the editing and cover design costs! You can encourage this whole process through galvanising your mailing list subscribers to request your books from their local libraries as well. I don’t offer free books from my catalogue any more as an incentive to join my newsletter subscription, but I do support my readers’ libraries. 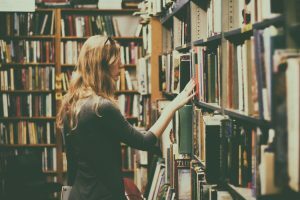 Last year, I corresponded with a reader of mine in New York state whose library couldn’t source my books – we’re still working on a long-term solution but in the meantime, they undertook to purchase the books through Amazon as a compromise to put on their shelves and keep their patrons happy. In recent months, I’ve launched large print formats of all my novels. Once I had the proof copies available, I worked with my local librarian to ensure the covers and interiors matched what she would expect to see from traditionally published offerings and since bringing these to market, I’ve noticed a steady climb in sales from both libraries and retailers. I’m also lucky enough to have librarians as mailing list subscribers, so they’re often emailing me the moment they see a cover reveal to find out when they can stock the books, and this in turn has led to events during the course of the year. If you’ve produced your own audiobooks (rather than using an aggregator such as ACX), do remember that there are separate distributors for these to libraries as well. I use Findaway Voices, and you can read more about my audiobook production and distribution experience here. In closing, if you get stuck with your research, then contact your local library to ask them where they purchase their stock. They are usually more than happy to assist. 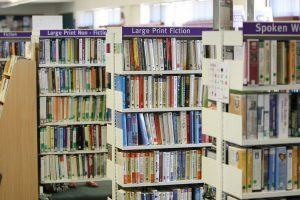 Throughout the past year, the UK press has been filled with stories about the continued withdrawal of funding from public libraries, and I believe there has been a similar struggle in other countries. 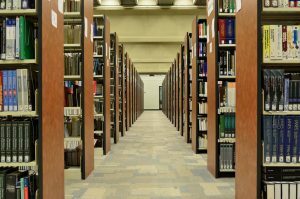 Hopefully the outpouring of frustration about library closures can go some way to prevent some of these great institutions from being lost forever. While we hear of library closures hitting local authorities on a weekly basis, I believe as indie authors we’ve got a duty to encourage our own readers to support their local libraries and make sure that when they walk through those doors, our books are easily available to them. A version of this blog post originally appeared on The Creative Penn in January 2017. You can read that article here. A lovely blog post Rachel. Really informative. I will mention this at the next library user group meeting i go to atmy local kent library. Thank you, Richard – much appreciated! Thank you for your help in getting your books into the Richmond,NZ, library.I have now read 4 Kay Hunter books and 1 Dan Taylor.enjoying them very much. You are very welcome – I’m so happy to hear you discovered my books through your local library!